The ‘Wine & Dine’ serving trays from J.K. Adams are designed to cradle a glass of wine by the bowl while providing a plate for your appetizers. It’s a handy solution for cocktail parties and similar situations in which you might find yourself wanting to walk around with both food and drink in hand. After all, if you have a glass of wine in one hand, then it can be rather tough to pick up food from your plate and eat it. 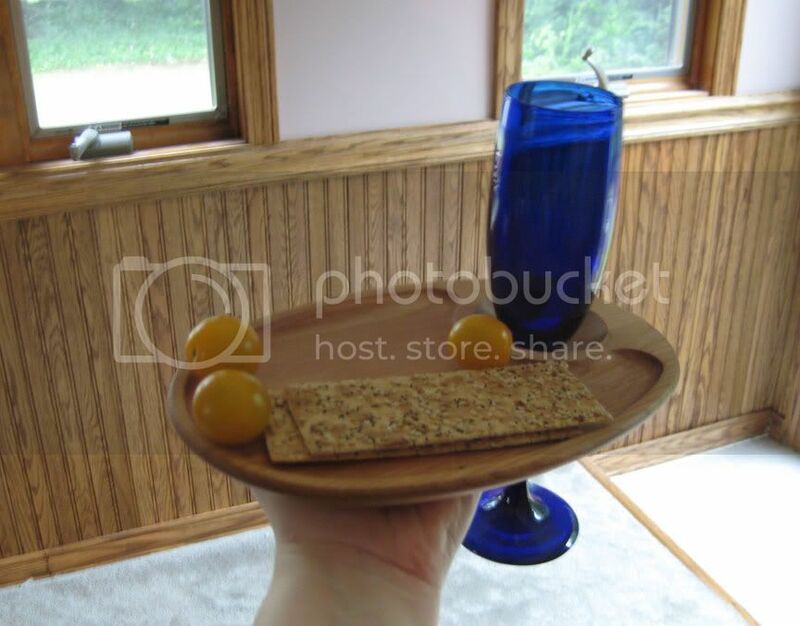 This allows you to carry both plate and wine in one hand, picking up either food or wine as desired. The plates come in rectangular or oval-shaped. They’re made of very beautiful wood, which will need to be hand-washed and regularly oiled to keep it in good condition. In other words, you probably won’t want twenty of these for a huge party, but it might be nice to have a few for when your parties get a little large to fit at your tables. They’re also handy for times when you want a snack and a glass of wine but you’d rather sit in front of the television or the computer than at the table. The trays best fit standard-size wine glasses, and are a bit unsteady with champagne flutes (although, in my opinion, usable, as long as you’re a little careful). 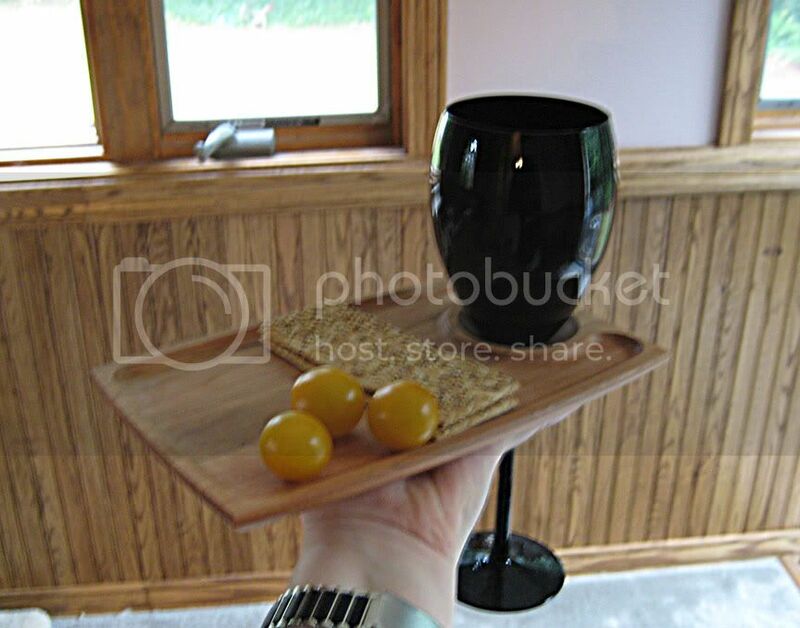 The dip in the tray that holds the wine glass is sufficiently deep to be stable, and the part of the tray that holds food allows for several bites’ worth while remaining easy to hold and carry. This might make a great gift for the frequent hostess who has everything. My only objections are that it’s such a narrow-purpose item, and it requires special care. If you really love to throw those cocktail parties, though, I can’t imagine a better toy to bring to the party! 1 Pings/Trackbacks for "Wine & Dine Trays"